Featured on HGTV's "I Want That". Multiple Endorsement Articles by Journalist Peachy Deegan [one, two, three]. Featured in the Cleveland Plain Dealer [read article]. We have also been highlighted in other local newspapers and the United States Postal Service Employee Newsletter. Businesses Want Unique Made in the USA Gifts and We've Got'em! 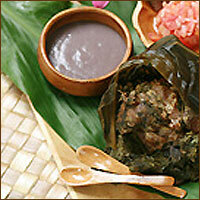 The owner, lived in Hawaii for eight years. 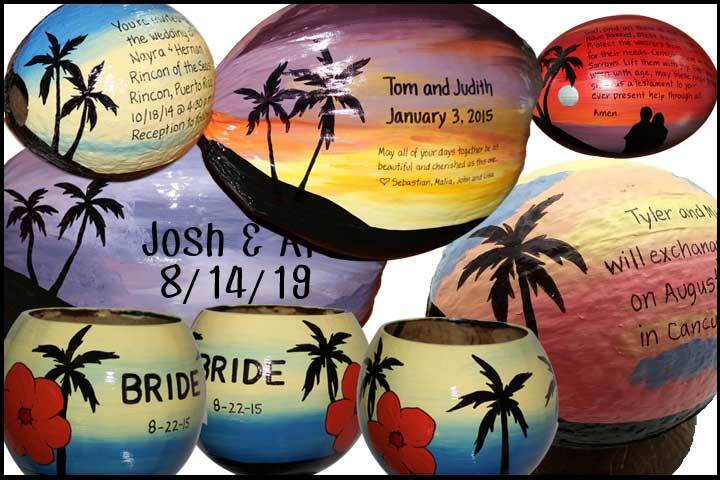 While she was there, she began painting coconuts and sending them to family in the mainland for Christmas and birthdays. It was such a hit with them, that she decided to take it "global". Since 1996, we have been sending coconuts world wide. Whole coconuts are shipped from various islands in the Hawaiian chain to our new location in Kirtland, Ohio. 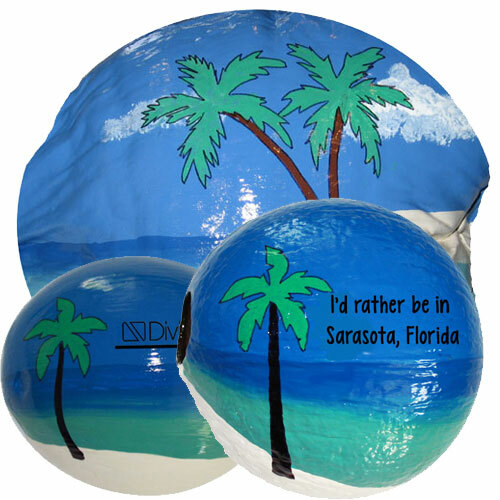 Hollow coconuts and half shells come to us from Florida. So, you get a genuine coconut, and we can keep your costs down by operating from Ohio. 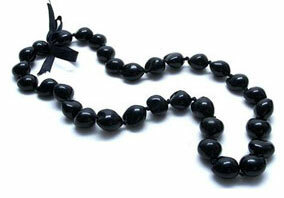 The art staff has grown to 18 painters, so we can offer fast turnaround on large or small orders. The perfect way to be green: recycling coconuts! 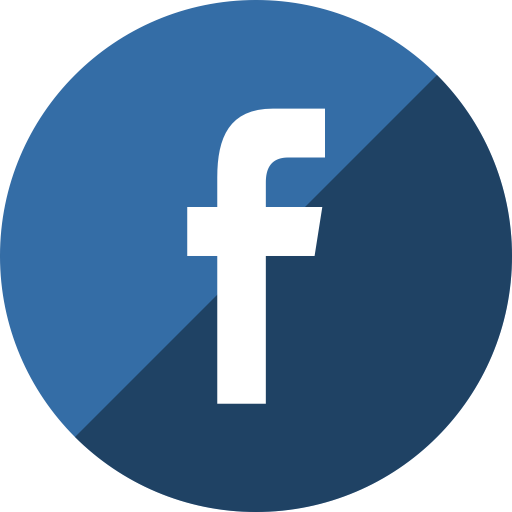 Flowers, gift baskets, wedding favors and traditional marketing promotions get discarded and forgotten. Who would throw away a coconut? 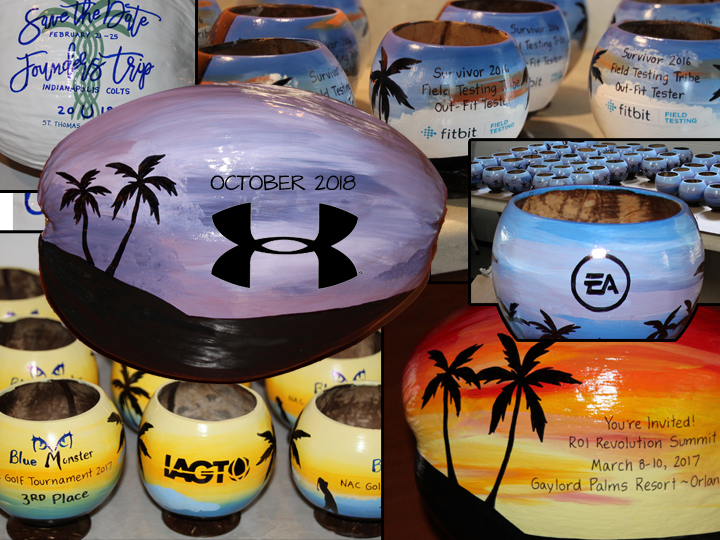 We hand paint your message to personalize a coconut and mail it. 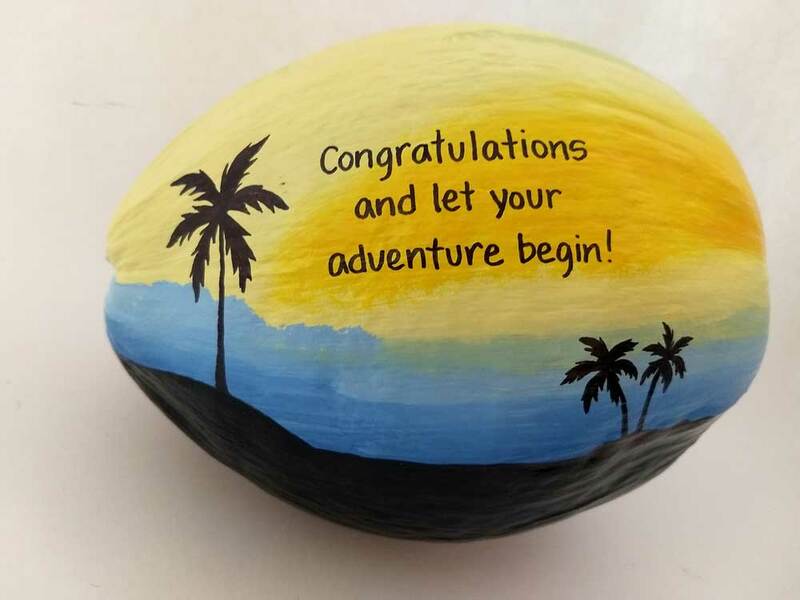 Imagine opening up your mailbox to find a real Hawaiian coconut with a painted personalized greeting from a loved one. Ideal for gifts, favors, decorations, promotional items, invitations, holidays, anniversary, birthday, congratulation, graduation, new baby, get well, announcement and marriage proposal messages, bridal favors, table centerpieces, and luau party decorations. If you reach our answering service, please leave a voice mail. We heavily rely on our voice mail, since most call center representatives are also artists. This allows us to respond after hours as well as during our high volume call periods during regular business hours.